Vape Barcelona Expo 2019 will be the first vape convention we’ve hosted in Spain. Our company has hosted vape conventions in countries across the world with great success, and we want to go BIG in Barcelona. 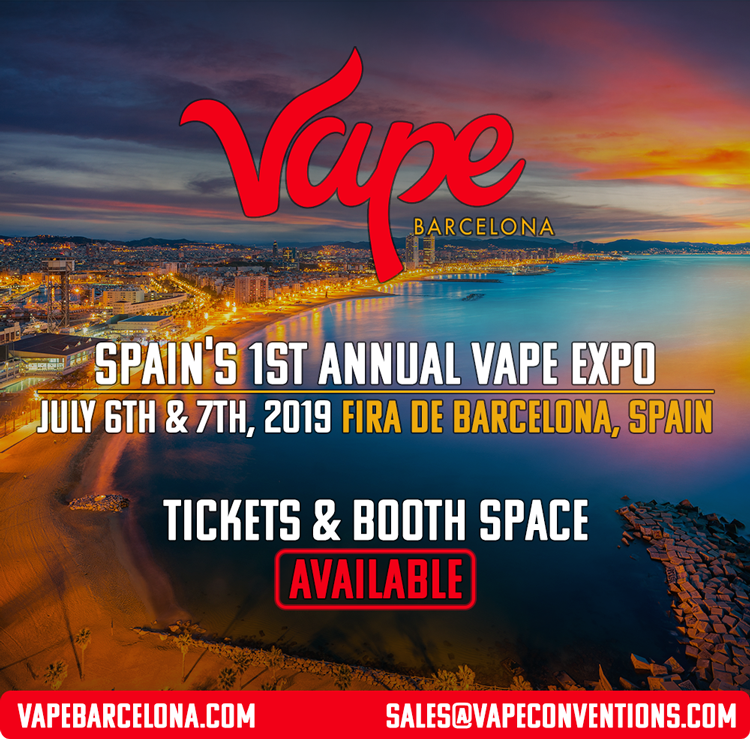 We chose to host Vape Barcelona Expo due to Spain’s high demand for international eJuices, vape mods, accessories, wholesale distributors and other services. Our goal is to connect vendors from countries around the world to shop owners, distributors and consumers in Barcelona, Spain.